Although our patients all know Dr. Kataria and appreciate his quiet professional competence, few may realize his extensive advanced training, specializations, teaching experience, and academic affiliations. Following graduation from dental school, Dr. Kataria was selected for a one year fellowship in clinical pedodontics (children's dentistry) at the Murray and Leonie Guggenheim Dental Clinic in New York. He was subsequently chosen for a two-year postgraduate program in prosthodontics at the New York University School of Dentistry. He regularly updates his knowledge of all new procedures and materials through continuing education courses and seminars. 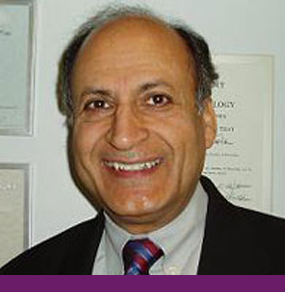 Dr. Kataria taught courses in prosthodontics at the University Of Pennsylvania School of Dental Medicine for five years. He is currently on the staff of the Chester County Hospital.